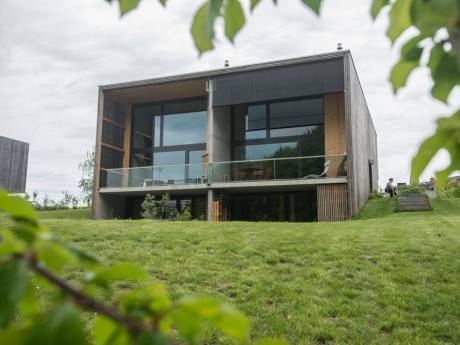 PLEASE NOTE THAT OUR HOUSE IS NOT AVAILABLE BEFORE JULY 2015 except for one week in April (4th to 10th) during which we could swap with destinations close to our home. Our chalet in new, cosy and enjoys a lot of light. The living room and the kitchen open directly on the garden which very pleasant in the summer. The chalet has 3 bedrooms and is situated in a very quiet location, although it is less than a kilometre away from the local shops and the train stop. The cablecar/access to the ski area (and the starting point of many local treks and hikes) is 5 minutes away on foot from the chalet. Our house can sleep 6 and we have many children toys and games as well as bikes and scooters that you can borrow. 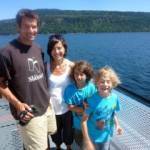 We are a couple of teachers, Cécile and Nicolas, with 2 sons, Ian and Anthony, (10 and 7). We have both been working in an international school here for 13 years. We have made some very successful and happy exchange in Portugal, Spain, Vancouver Island in Canada, Paris, Ticcino in Switzerland. This summer 2014, we would like to go to Croatia and are looking at a simultaneous exchange in July (10 days, dates to be arranged) or, if you fancy a winter holiday and skiing, our place is also available between Xmas and New Year 2014-2015 (10 days too). We are looking forward to visiting your place and would take great care of your home! Villars-sur-Ollon (http://www.villars.ch) is a dual purpose resort (skiing in winter, walking in summer) 1300 metres above sea level. The village is an ideal base for people looking to visit Switzerland as it is located in the Swiss Alps, yet only a short drive to the valley and access to many attractions. In the summer, it is a great place for hiking, cycling, mountain biking; there is a golf course, several tennis courts and of course the altitude lakes. It is also near the hot springs of Lavey les Bains. 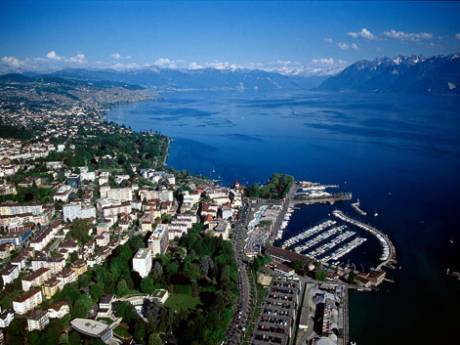 It is located about an hour and 15 minutes from Geneva, 45 minutes from Lausanne, 30 minutes from Vevey, and about 20 minutes from Lake Geneva and is in the French speaking part of Switzerland.